On 21st December 1988, a Boeing 747-100 owned by Pan American World Airways, flying to New York, suffered a devastating crash in the small Scottish town of Lockerbie. Pan Am flight 103, which was originally meant to fly between Frankfurt and Detroit with stopovers in London and New York, broke up into several pieces in mid-air over Scotland before crashing into Lockerbie at 7:03PM, killing everyone onboard the aircraft as well as 11 people on the ground. The horrific crash was found to be the result of a bomb which had been planted in the cargo hold by a passenger who had not boarded the aircraft, but placed the bomb into a bag which he checked in. The passenger was later discovered to be working for Muammar Gaddafi, the leader of Libya at the time, who, according to some reports, had personally ordered the bombing. Despite others close to Gaddafi claiming this wasn't true, in 2003 he accepted responsibility for the tragedy and compensated the victim's families. Above: N739PA, named 'Clipper Maid of the Seas', before the crash. The aircraft took off from Heathrow Airport near London at around 6pm, after a stopover from Frankfurt Airport in Germany. At 6:58PM, the aircraft entered Scottish airspace and began talking to Prestwick Air Traffic Control. After making a sharp turn, Air Traffic Control lost contact with the aircraft at 7:02PM. Shortly after, other pilots in the area began to inform Air Traffic Control that they could see a large fire on the ground in Lockerbie. This turned out to be the remains of the stricken aircraft. Upon investigation, it was found that the plane's crew hadn't performed any emergency procedures or issued a distress signal, which meant they didn't know there was an problem. However, the aircraft's 'black boxes' (which store all the flight data and the conversations of the crew) picked up a hissing noise, which later was discovered to be the bomb. The explosion created a 20-inch hole in the aircraft's fuselage, which caused the nose the aircraft to become separated from the body, and destroying the aircraft's control cables, meaning there was no chance of the aircraft being flyable. Whilst Pan Am was found to have cut corners on security, investigations in 1991 and again in 2000 claimed the crash was the full result of a terrorist attack. The US Intelligence Service claimed that they believed the incident was ordered by the Libyan government. Libya initially denied this, however on 16th August 2003 Libya formally accepted full responsibility for the tragedy, blaming unauthorized actions of officers. The United Nations Security Council slammed their apology, claiming it "lacked any expression of remorse". However, the Libyan government agreed to compensate the victim's families. 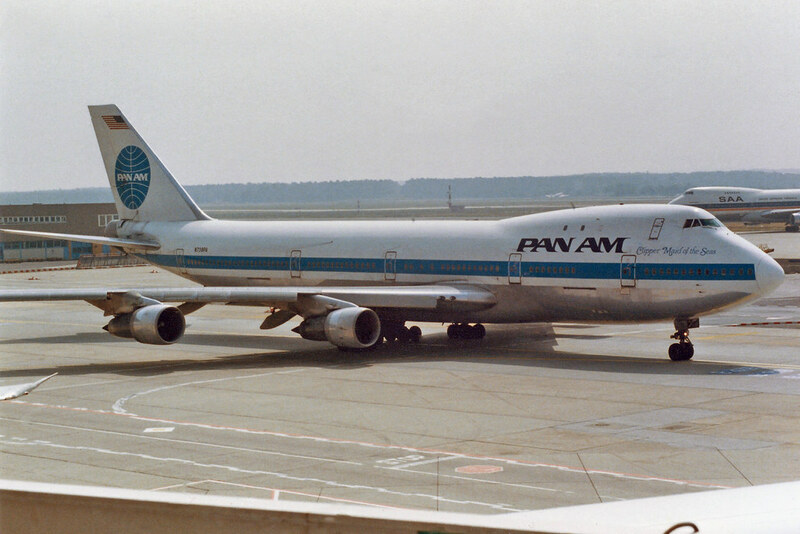 Shortly after the incident, Pan Am began to face severe financial difficulties and a tarnished reputation. The airline attempted to find a rescue deal, however this failed. The airline collapsed on 4th December 1991 and shut down, with Delta Air Lines buying the profitable parts of the company. Pan Am flight 103, along with other incidents, is the reason air travel is as safe as it is today. Going through airport security may be annoying, however without it, incidents like this would be much more common. In a way, flight 103 was a learning curve for the whole world; pointing out the horrendous flaws within aviation and forced them to be corrected. Our thoughts are with the victims and their families and friends.